The moving of the US Embassy from Tel Aviv to Jerusalem, initially scheduled to take place on Israel’s independence day, May 14, might end up delayed due to Israeli bureaucracy, Israeli media reported Tuesday. During a recent meeting between a US delegation and Israeli authorities, US officials claimed that the existing consulate in the Arnona neighborhood in southern Jerusalem, which is to be converted into the US embassy, must first undergo security-related construction work. According to the Times of Israel, US officials want to construct a three-meter-high wall around the building and pave a new escape route leading from the site. However, the site's current zoning plan, which was sanctioned as a consulate and not as an embassy, does not permit such changes to be made. Israeli Foreign Ministry Director General Yuval Rotem recently sent a letter to the country's finance minister, Moshe Kahlon, warning that the scheduled embassy move on May 14 might have to be delayed. "The process of requesting an amendment to the existing outline plan is expected to take a long time and will not allow completion of the work on the date set for the embassy's move," Rotem wrote, the Times of Israel reported. "Without these works being completed, the compound will not meet the mandatory requirements of the State Department for the American embassy," he added. Kahlon was quick to respond, posting on Twitter in Hebrew Wednesday that he had already urged the Israeli National Council for Building and Planning to allow for the move of the American embassy to Jerusalem without the required permits. On Wednesday, Kahlon tweeted at US President Donald Trump, whose announcement of the embassy move in December caused such uproar, "I'm happy to inform you that we are moving forward with the preparations, making sure that no bureaucracy slows down the process of moving the US embassy to Jerusalem." Israeli Prime Minister Benjamin Netanyahu has also promised to cut through any red tape holding up the move. 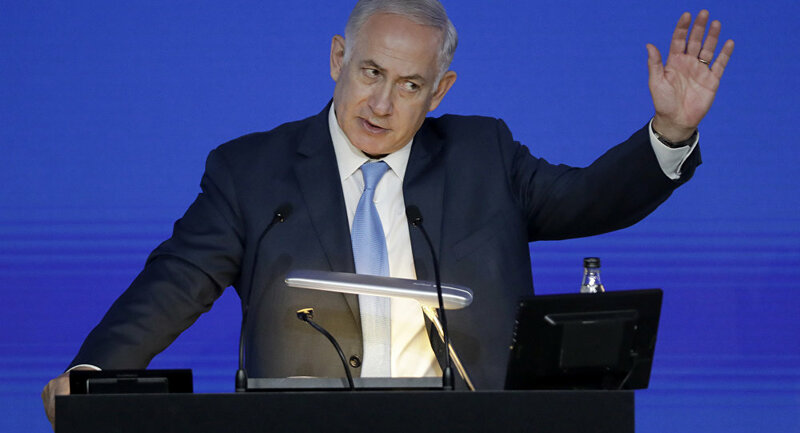 "The prime minister will act decisively and quickly to ensure that the American embassy will move at the planned time and he will not allow unnecessary bureaucracy to harm the process," Netanyahu's office said in a recent statement. Last month, Netanyahu invited Trump to Jerusalem for the scheduled ribbon-cutting embassy ceremony in May.